I tried to make this a scarier, darker, less funny experience, pretty much in the spirit of ALIENS. This is not supposed to be a video game movie anymore. It is supposed to be a true horror/action movie. Therefore I cut a lot of nonsense and crap, most of all the ego shooter sequence, which just did not fit to the overall atmosphere, and the teasing scene between Duke and Samantha, which was really hard to take because of bad acting. My edit is based on Scaperat’s ideas and his fanedit: Doom – the posessed cut. I made this edition with his authorization. 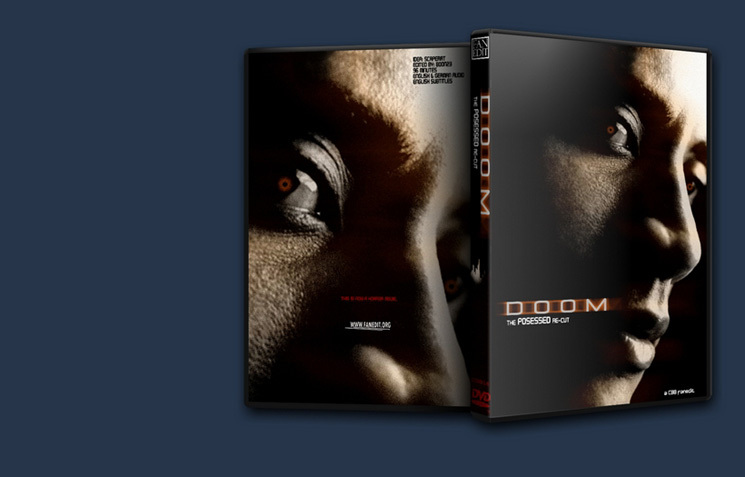 Added intro sequence using scenes from Resident Evil and Doom Trailer. Removed Dr Grimm and Duke teasing. Kept C24 explanation (which is a huge difference to Scaperat’s first edit). Removed almost the entire Ego Shooter sequence, except for plot. Removed flying sequence from showdown. First off, thanks to someone who reupped this. Darker? Yes, the film was darker. Jokes excised, the mood stayed grim throughout. Scarier? Maybe. There was greater tension, though I never cared for a single character so I was never fearful or concerned for them. More sinister? No, I never thought that. Sinister would imply an evil agenda, and the narrative skirted this, rather than pushing it closer to the fore. Audio editing was top shelf. No glitches, nothing weird. Listened through headphones. Video equally fine. Seamless, nothing jarring, no artifacts or sloppy work. The bonus extras I could have done without. The shooter POV is direct homage to the popular game. I am betting there is a percentage of guys who loved that bit, and sighed during the bonus, "Aw man, my favorite part." And the lame flirt scene between Duke & Samantha? Should never have been included. That was the last thing I saw, and it left a sour taste. The quality of the edit was great, and CBB's work is holding up, eight years out. 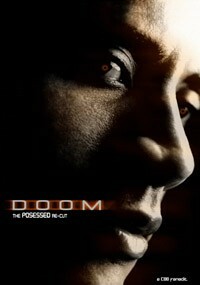 doom a game with a storyline good enough for a really fun movie. doom the movie is an awful movie that destroyed that fun story. there is not much that can be done to make doom a good movie. but CBB done a really good job at making it as good as it will ever be, this is the version i will always go to, this edit makes a really bad movie into a good movie. the video quality is average but the editing is top notch. i think CBB has cut everything he could and it was all the right decision. if you are going to watch doom for the first time or re watch it this is the version to watch. This is masterfully done, hands down. While there are still things that are a bit cringe worthy, the source material cannot be overcome with that aspect… and that’s fine. However, the overall ambient theme of this edition is far superior to the original. 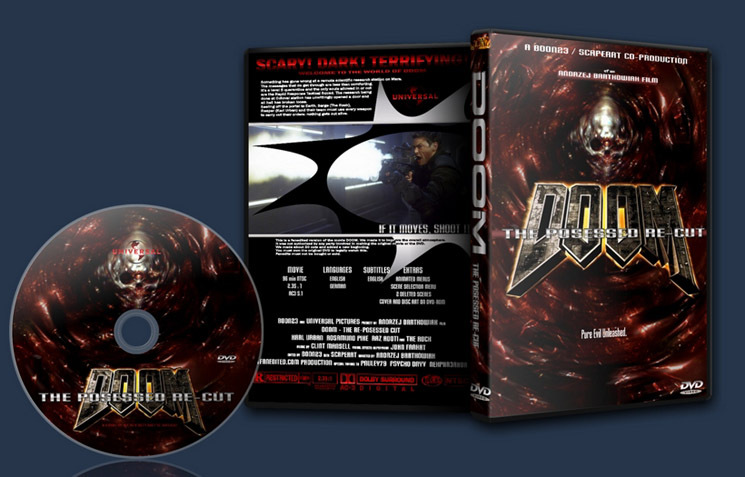 Doom… The shooter everyone loves, the film everyone loves to hate. When I first read about a Doom film being released, I couldn’t help but feel both ways: excitement, and pre-emptive disappointment. Films like that are bound to be shot down before they can even take flight properly. Especially if they star Dwayne ‘The Rock’ Johnson. The original film had its moment but was an annoying action film with horror twists, at best. Johnson was seriously overacting as the film progressed, and Richard Brake’s character Portman was annoying more than anything else. Although I don’t always blame the actors –Brake’s actually a good actor himself– it was obvious that he wasn’t really trying to come off as convincing. Either that, or he was having too much fun being obnoxious. * CBB’s edit takes away much, if not everything, of the previous, but sadly leaves the latter intact. somewhat displaying his growing anger and disappointment on not having the situation under control. * Portman’s white golf shoes and ‘level 5 quarantine frisk search’ perversities were about all could take the first fifteen minutes. * Karl Urban obviously carried what little was left of this film, and did a more than okay job. * Pinky (what’s in a name?) wasn’t much of an addition either, and I wouldn’t have cared if CBB had just cut him out completely after everyone else overheard him being attacked in the com room. The part where Portman is yanked off the toilet always seemed very weird to me, in that sense. Portman is dangling upside down, which always made me feel as if that was the director’s attempt at being funny, with Pinky giving the screen a quick glimpse, and chuckling. It’s quite embarrassing to admit, but I never quite got the meaning of that scene, until I started contemplating it after having seen CBB’s edit. The slight chuckle was needed to show Pinky was actually enjoying seeing Portman die, thus confirming his psychotic side. Cutting out Pinky completely after the attack would be difficult, but it would also allow the editor to get rid of both Portman hanging upside down, and Pinky laughing about it. That way, Portman’s death could be confirmed only via the screaming they hear on their coms. Which would have been a nice edit. Couldn’t notice a single glitch, hiccup, hard cut or anything of the kind (not that I was looking for them). The Ego shooter sequence could have been dropped completely in my opinion but, as mentioned before, was somewhat pivotal to move the story along. That said, I didn’t really like the way the first person view blended in with the emergency light. It kind of seemed forced, not having another window to do a better edit. Again, no flaws here. Everything was fine. Compared to other CBB edits, the menu seemed kind of dull to me, and rather disappointed me. I was really expecting another CBB gem here. For what the edit is worth, it receives 4 stars. It remains a rather bad film, but the edit makes it more bearable.